IFML is currently implemented by WebRatio, an agile toolsuite which provides BPMN, IFML and UML class diagrams modeling, together with model-checking, full code generation, documentation generation, and teamwork features, to create robust and composite enterprise-class mobile Apps and Web applications. Two opensource implementations are currently available for IFML. 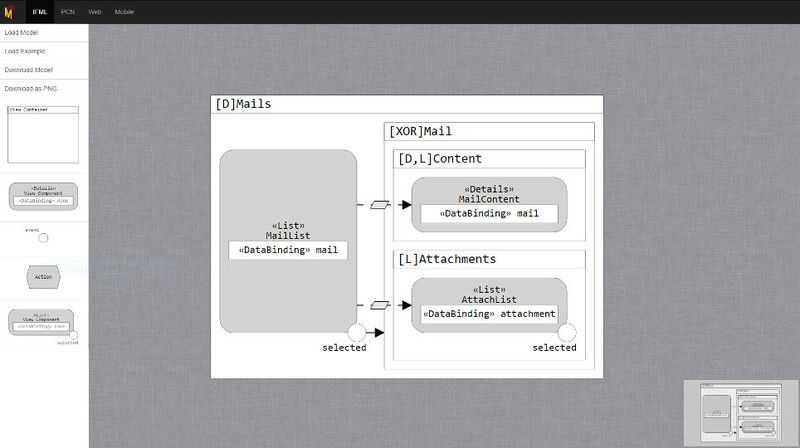 Both editors you design IFML diagrams according to the standard specification. 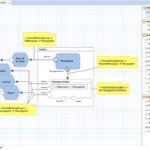 The modeling of the IFML diagrams for the UI part can be complemented with (executable) UML diagrams according to fUML specifications combined with Alf scripts for the backend business logic and with UML class diagrams.